A poor window view is one of those troublesome home features that can make or break the sale of a home. It can be tempting to simply cover up the window or add a few decorative plants. But this doesn't really address the central issue. Sometimes it even accentuates the problem by preventing that all important natural light to enter the room. But there is hope for those with bad window views. Perhaps the problem could even lead to a few new ideas that make you room look even better than before. A great window treatment has the potential to really infuse a room with more character than it might have had otherwise. Focussing on this space might even lead to a renewed appreciation for the storage possibilities, a renewed interest in growing spices or even the development of a completely separate feature area in the home. Here at homify we have collected a few of our favourite window ideas to get you started. Come with us to explore a few possibilities. 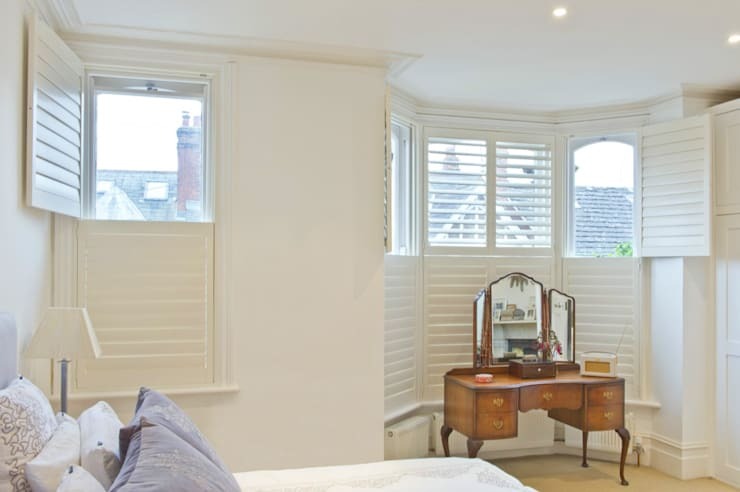 Interior shutters were originally used when glass wasn't available. But they are now a popular choice for interiors. They are very attractive, completely block out a bad view and give you the option of partially opening them up to allow light flow. It's important to consider the flexibility of the panels though, solid shutters will block out too much light and air circulation. A badly positioned window may present a poor view, but it's also a valuable source of natural light. Most of us wish to retain the benefits of window light and so the choice of hanging plants needs to be carefully considered. In general, it's not a great idea to choose large potted plants with dense foliage. The pot will block no small amount of light and the foliage will do little to beautify the view. 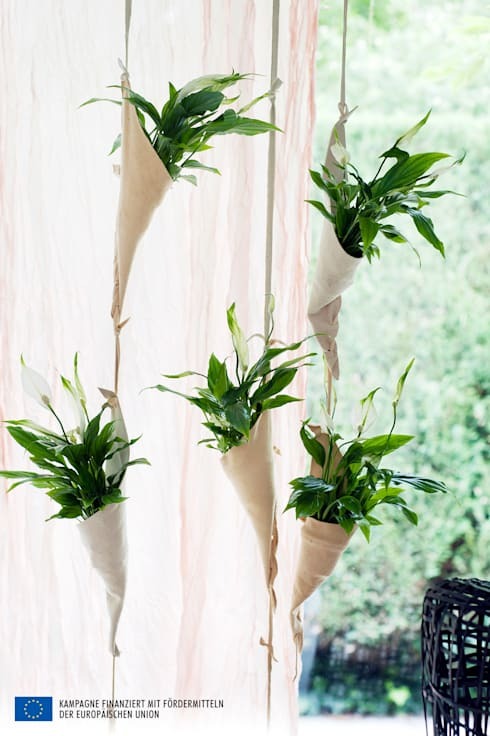 Instead, choose something vivid with flair like a series of hanging peace lilies with splayed leaves. The branches and leaves will not block too much light, but will add a more vibrant and lively distraction from the backdrop. This setup is by Pflanzenfreude who have a lot of other options. 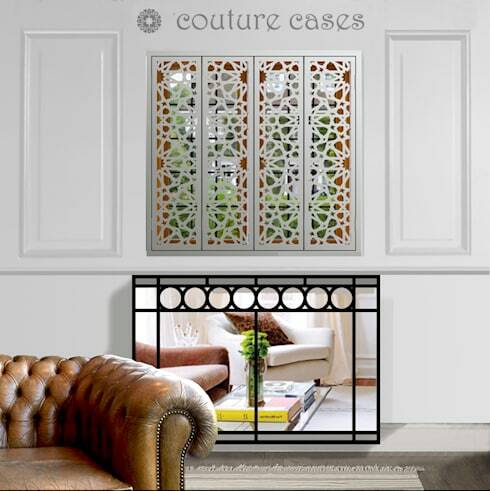 These Moroccan inspired panels by Lace Furniture don't just cover up a bad view, they also add a whole lot of personality and decoration to the room. The design is quite heavy and ornate, so the silver finish is a good option if you want something a little more modern and minimalist. If the window view is a total disaster, window film is great option. To lighten up the effect, we would advice using something with a fine pattern. Granted, the outlines of natural foliage will not fool anyone, but it will add the subtle suggestion of a natural view. The film can easily be bought online, but the directions will need to be very carefully followed to avoid air bubbles. If something more permanent is called for, consider installing a new glass pane with perhaps the lower half made from frosted glass. Covering up your window with a blind may seem like a dramatic option, but it's a good, cheap way to cover up part of your view. This doesn't mean that your window treatments have to be boring or staid either. Consider pairing your half blinds with some other solutions. So you may counterbalance plain, white blinds with some bold, strong vertical drapes that make the window appear larger. You could even add a few plants on the window sill for additional decoration. 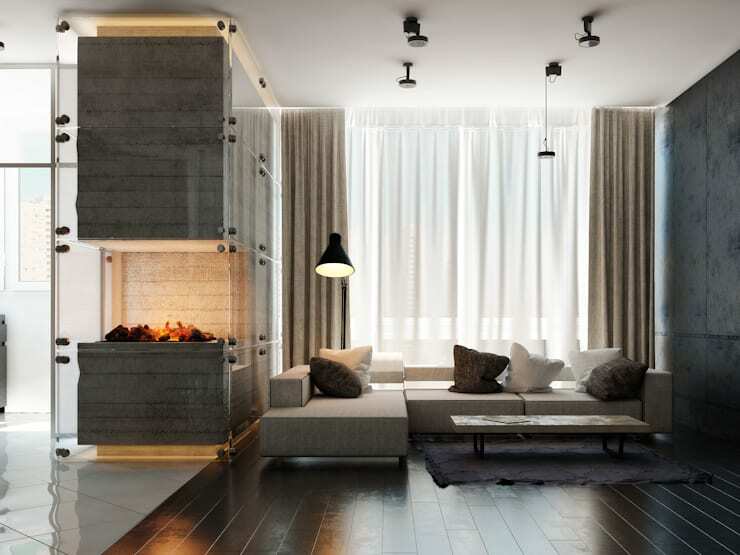 Sheer and gauzy curtains like this allow for some privacy without sacrificing too much natural light. To retain the sense of airy abundance that can be lost when covering the window in its entirety, use minimal fittings and a simple hanging rod. It's best to avoid anything too heavy. If you are worried about privacy, it's best to choose a few gauzy layers rather than one thick curtain. This is a much more flexible approach and won't close the interior too much. If you are interested in window treatments, you would love this Ideabook 5 steps to hang curtains properly. 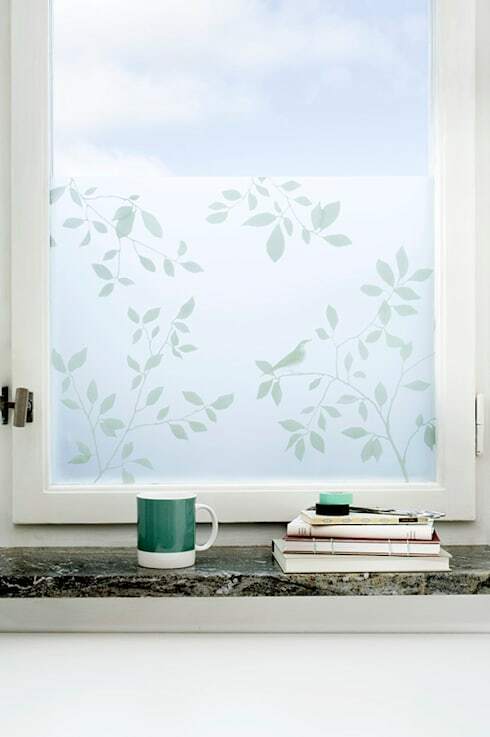 What do you think of these window dressings? We would love to hear in the comments below.